Does my A-B Trust Still Make Sense? 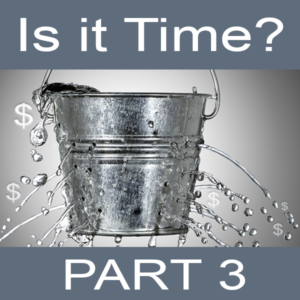 Back in April and May, when we began this series, we looked at ways in which old trusts may be akin to a leaky bucket and covered examples of how I can plug the leaks to save a client’s money from draining away. If you missed those posts, they are worth circling back for a read. In April, Mrs. Smith saved her children $300,000 in taxes and in May, Mr. Jones, well, spoiler alert… no taxable income. Here in Part 3 of the series, we feature guest author and esteemed colleague, Patrick R. Bartelmie. Patrick is here to let readers know about times in which a traditional A-B Trust is still appropriate. Take it away, Patrick. Like Diane, I am an attorney focused on estate planning. Where Diane branches off into an Elder Law specialty, additionally, I provide legal solutions in Business Law. I have lived and worked here in the Los Gatos area most of my life, and it is important to me that resources like this exist. I am pleased to contribute to this important and timely topic. With this post, we will look at what has Changed with the Tax Cuts and Jobs Act, and look at when a traditional A-B Trust still appropriate. The implementation of the Tax Cuts and Jobs Act (TCJA) on January 1, 2018 brought many changes to estate planning strategy. With the Federal Estate Tax exemption increasing to more than $11 million for each American, the focus of many married couple’s estate plans has shifted away from tax planning, and moved to probate and capital gains avoidance as well as preservation of income and appreciation on trust assets. As a result, many revocable living trusts are being reformed so that there is no division of assets into a survivor’s or “A” trust, and a decedent’s, or, “B” trust upon the first death of a spouse. The original trust and its terms continue after the death of the first spouse, so that the couple’s assets are entirely included in the estate of the surviving spouse upon his or her death. The purpose of such a trust structure is to achieve, not only a step-up in basis on the joint assets of the couple at the death of the first spouse, but a second step-up in basis upon the death of the survivor as well, once again eliminating (or greatly limiting) an estate’s exposure to capital gains taxes. Avoid Capital Gains Entirely? No Trust Administration Work After the Death of the First Spouse? Surely all trusts will want to take advantage of such a strategy, right? Not necessarily! 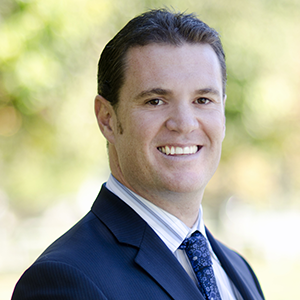 The trust structure described above will often allow the surviving spouse complete control over future amendments to the trust and the joint assets. Therefore, there is no guarantee that the decisions the couple made when the trust was drafted will be carried out by the surviving spouse. However, there are still some particular situations where an A-B split trust structure is the best option. SCENARIO 1 – The first scenario where an A-B trust is for young married couples with minor children or young adult children whom are not yet prepared to inherit valuable assets. An unexpected death at a young age leaves a surviving spouse with many years ahead of them and the greater possibility of a future relationship and possibly even another marriage. An A-B split of the joint assets of the couple upon the first death will work to ensure that the wishes of the deceased spouse are carried out through the B trust. Gifting a legacy to one’s children is, and will always be, one of the pivotal reasons for drafting a trust. A B trust is insurance for one’s wishes to leave a legacy to their children against premature death. SCENARIO 2 – The second scenario where an A-B trust structure remains appropriate is for blended families. A second marriage with step children on one or both sides of the relationship can create a complicated family dynamic, especially when dealing with the division and distribution of assets at death. Often times parents and children will not agree on estate planning decisions in blended family situations. An A-B split of assets upon death can ensure that community and separate property is properly allocated and preserved for eventual distribution to one’s children, while remaining available in a B trust to provide for the remainder of the surviving spouse’s lifetime through income-only distributions or other such provisions. Have Questions About Updates to Your Trust? Both Diane Brown and I offer a FREE 30-minute Legal Consultation to new clients. If you have not worked with me before and have a trust, or I drafted your trust previously, feel free to call me to discuss your documents in light of recent changes in the law. In August, Diane will continue with this series and I will see you here again in the Fall.